The Ontario Green Energy Act is the largest transfer of wealth in Canadian history. It takes money from the people, including the poor and middle class, and gives it to large corporations. The result of subsidized, over-priced wind power that Ontario doesn’t need. 2010 to October, 2015: Electricity rates increased 60-88%. November 1, 2015: Rates increase another by 8.7%. January 1, 2016: Rates increase by another 10%. January 1, 2017: PST removed, decreasing bills by 8%. January 1, 2017: Rate increases due to hidden Cap & Trade. May, 2017: Hydro bills are reduced by 17%. The reduction will be charged to taxpayers because “everyone benefits from electricity infrastructure, not just rate payers”. May, 2017: Subsidies are offered to those with a low income. Subsidies will be charged to taxpayers. June, 2017: Hydro One announces annual increase of $171 to cover infrastructure upgrades. Pierre-Olivier Pineau, Associate Professor and Electricity Market Expert, University of Montreal HEC Business School. Ontario’s Energy Policy affects every person in Ontario. The following is a summary of the energy policy that is being implemented in Ontario. All supporting information is under Sources. Over the next 20 years, your household will pay an additional $60,000 for electricity. The cost of wind power will add $170,000,000,000.00 to our electrical bills. We have clean and excess power from water, nuclear and gas. We pay more for wind power than any province/state in North America. We are subsidizing the wind industry. 4% of our power is from wind energy, yet it costs us 20% of our electrical bill. 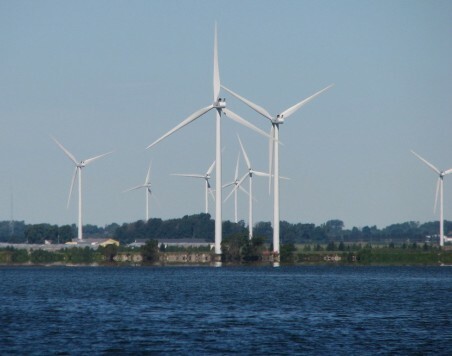 Ontario pays 11-13.5 cents per kWh for wind power. The average price in the U.S. is 7 cents. The average price for Ontario nuclear, water and gas is 7 cents. Ontario is the only province/state that charges HST, delivery, and regulatory fees on electricity. In 2007, you paid 7 cents per kWh. In 2017, you pay 14-27 cents per kWh, depending on usage and location. Check your hydro bill; divide the total (including GST, delivery and regulatory fees) by your usage. Compare our rates to: 5.6 cents in Quebec and 7.3 cents in Manitoba. Ontario’s delivery and regulatory charges. These charges need to be included to get the actual cost. Uses electricity for one refrigerator, four clocks and the hydro meter. (Yes, our meters use our electricity). Monthly bill is approximately $130. Pro-wind groups want you to believe that our expensive electricity is from nuclear power. Association of Major Power Consumers in Ontario. Refer to Sources for complete report. Large manufacturing plants can pay as much as $10 million per year extra for Ontario hydro. General Motors, Navistar, Kellogg’s, John Deer, Lance Bakeries, Kraft Foods, Unilever, Bacardi’s. NOVA Chemicals says the cost of power is critical in its decision to locate a multi-billion-dollar polyethylene expansion in Sarnia Ontario. Their alternative is the U.S. Gulf Coast where rates are a fraction of ours. Gone are the days of beautiful Ontario…. 30 years experience, environmental assessments on behalf of developers. Pay a lower tax rate than other corporations. 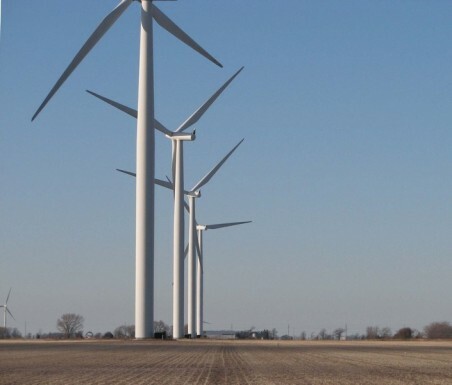 Turbines worth an estimated $5 million have been assessed at an estimated $60,000. Have farmers who sign lease contracts, sign a gag order. Are exempted from municipal bylaws, building permits, proximity to highways, drainage issues. Have weight restrictions on roads and bridges lifted during construction of wind projects. May cause death or harm to endangered species. Are exempt from the $10,000 fine in the event of destroying an eagle’s nest. Wind companies sue municipalities/persons who get in their way. but has never backed a municipality, group or person. 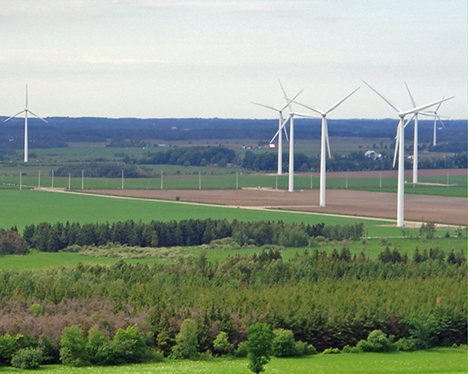 Municipalities have had all rights removed regarding wind projects. 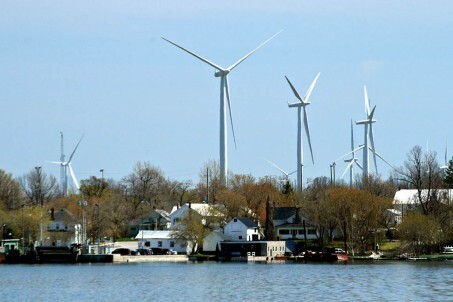 Over 80 municipalities are “unwilling hosts” to turbines, but are not acknowledged. Every turbine destroys 3 acres of land; roughly 21,000 acres of farmland lost forever. Ontario turbines are closer to people than any place in the world. Turbine neighbours suffer from turbine noise and wind turbine syndrome which can be life threatening. Residents are abandoning their homes at a unprecedented pace. The fortunate are bought out by the wind companies, but must sign a gag order. Rural Ontario areas are becoming ghost towns. 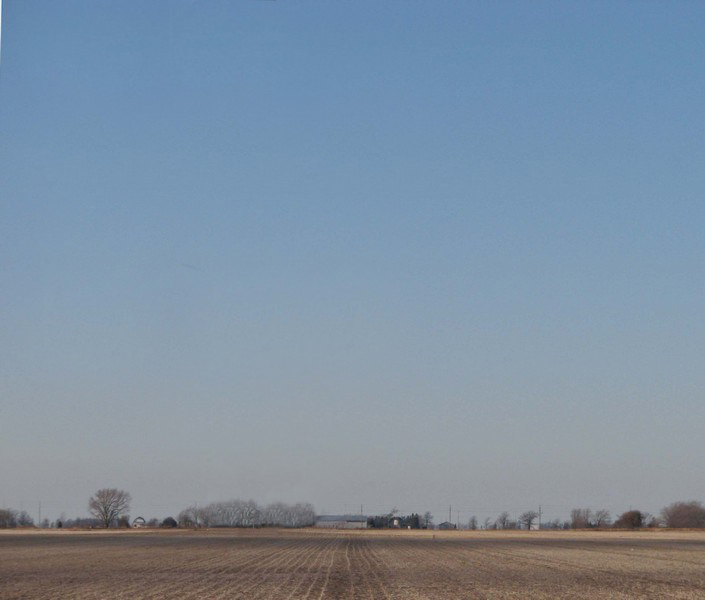 March 2015 – Lambton Shores – Rest area for newly built wind turbines. People call turbines bird blenders because they slice, maim and slaughter birds. 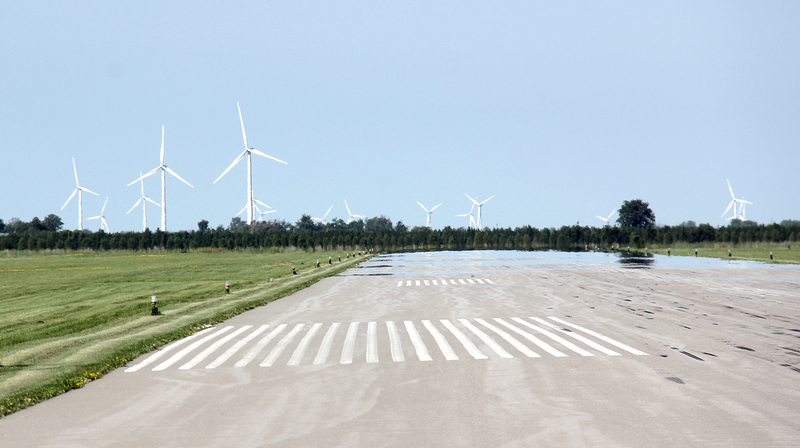 Turbines are built in the precise paths of the millions of birds that migrate to or through Ontario. Turbines kill more bats than birds (their lungs explode from the turbine’s drop in air pressure). Don’t neglect the importance of bats to our eco-system. Earthworms are absent around turbines. (it is thought to be from the vibration in the ground). Farms need the three types of earthworms to keep the land fertile for crops. No worms, no crops. Absolute Towers is 56 storeys. The small turbine is the CNE turbine – 299 feet high. 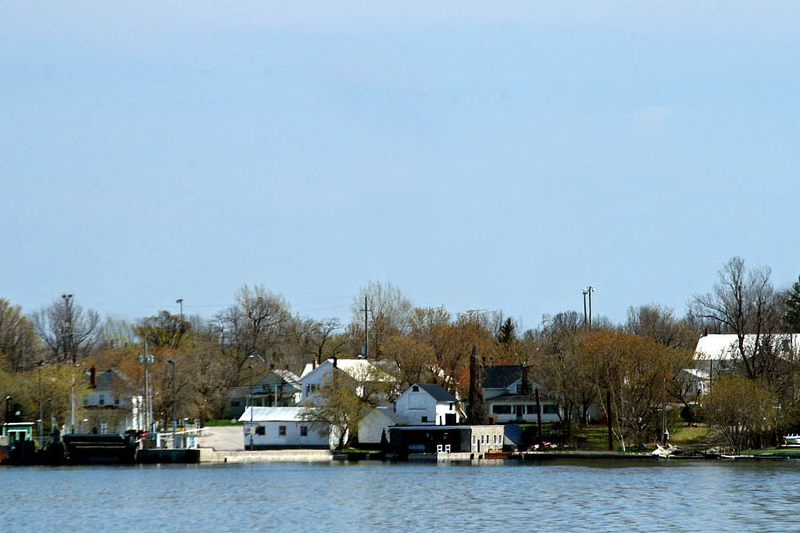 The mid-size is the average Ontario turbine - 380 feet high. 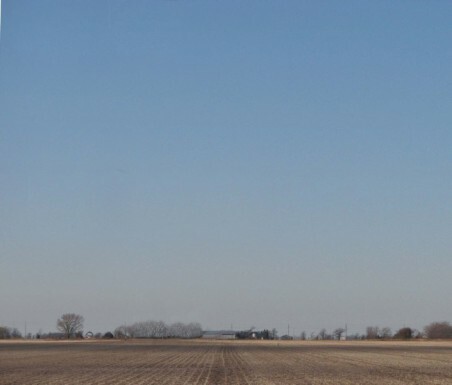 The tall one is the new Ontario turbine - 550 feet and taller. 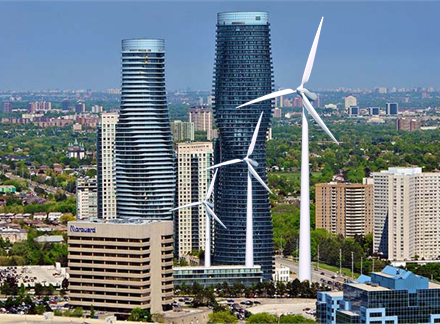 The rendering below provides a perspective of Ontario’s new turbines. The building behind is 38 storeys. Ontario’s wind energy policy is convoluted and wastes money. Nuclear, hydro, & gas is clean, cheap and has a 100% reliability, but wind (with 20-30% reliability) is given priority to our grid. For every kwh of wind power, we need one kwh of backup, that could otherwise be used as our sole source. 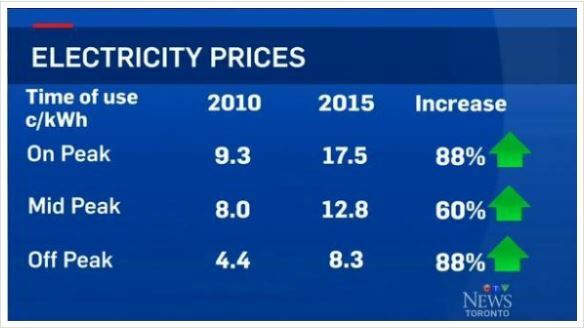 Ontario has too much power and we either, pay the USA & Quebec to get rid of the excess or charge 1-3 cents per kwh. From 2005 to 2012, the loss was $1.8 billion. In 2013, the loss was $1 billion. In October 2014 alone, Ontario paid $1 billion over market price for energy resulting in an immediate increase in hydro rates. Quebec turns around and sells our hydro at 5 cents per kwh to bordering States. and pays wind companies $200,000 per mw to shut down their turbines. The government says it’s “cheaper than paying the USA & Quebec to use it”. $6 billion was spent to increase the power at Niagara Falls; only to divert the water when there is excess power. Ontario pays gas plants to run as backup for wind power. The plan to build two new nuclear reactors at Darlington was abruptly cancelled in October 2013 at a cost of $180 million. During the 2011 election, the Liberals cancelled the construction of 2 gas plants to win Liberal seats at a cost of $1.1 billion. The Lambton coal plant had just been upgraded at a cost of $1 billion to produce clean coal before it was closed in October 2013. Ironically, the Lambton coal plant is 1 km from a coal plant in Michigan that is still active. In 2015, the Auditor General concluded that Ontario paid $9.2 billion for green energy that was not needed to replace the coal plants. Sufficient Nuclear energy could have easily “filled in the gap”. For every $billion wasted in electricity, the cost to your household is approximately $250. Ontario pays 13.4 cents for electricity. Ontario pays or charges Quebec cheap rates take our excess. The loss is subsidized by Ontario consumers. Quebec sells it to border States for 5 cents. Manufacturers can move to the States and get cheap power; that is subsidized by Ontario consumers. New York State sees an opportunity. When produced, power has to be used immediately; there’s no technology to store it for a later time. There is excess power almost every hour of every day, and Ontario scrambles to find a state/province that will take it. Depending on their power needs at the time, we either give it away (spill it), pay to take it (spill it) or charge a very low rate. Because wind power is so unpredictable, the IESO staff are continually manipulating the grid; telling the nuclear, gas and hydro suppliers to adjust their output accordingly; and the excess is then sent to Quebec, Manitoba and the States. because gas plants constantly starting up and shutting down expel more emissions than if they ran continually. Much of our wind power will go to Quebec and the States. Wind blows mostly at night and in the winter when we need power the least. There is no wind on a hot summer day, when our air conditioners need it the most. Constant changes to the grid are prone to error and Ontario’s grid wasn’t built to handle such. Be prepared for frequent and long blackouts or worse, as in complete failure of our energy grid. Ontario has more than enough power with Nuclear, Hydro (water) and Gas. Ontario’s average demand for power is roughly 18,000 mw. In the last 10 years, Ontario’s highest demand for power was 27,005 mw on August 1, 2006. The amount of available reliable power is 30,806 mw which far exceeds the demand. Nuclear = 12947 mw: Hydro = 7939 mw; Gas = 9920 mw. 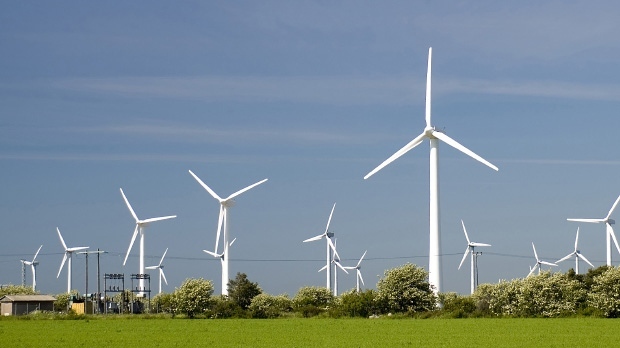 The Liberals will have added 3725 mw of installed wind energy by the end of 2014. With intentions of adding more. The role of trees and forests in our ecosystems is absolutely critical. A single tree can absorb 10 pounds of air pollutants a year, and produce nearly 260 pounds of oxygen; enough to support two people. Forests and woodlots are being cleared Ontario, where trees are trucked to incinerators (up to 500 km in distance), to be burned for energy fuel. As an example, Google Atikokan. The key person behind Ontario’s move to Wind Energy is Gerald Butts who is currently chief advisor to Federal Liberal leader Justin Trudeau. Butts was Principal Secretary to Premier McGuinty, who states that he was intimately involved in the government’s environmental initiatives. 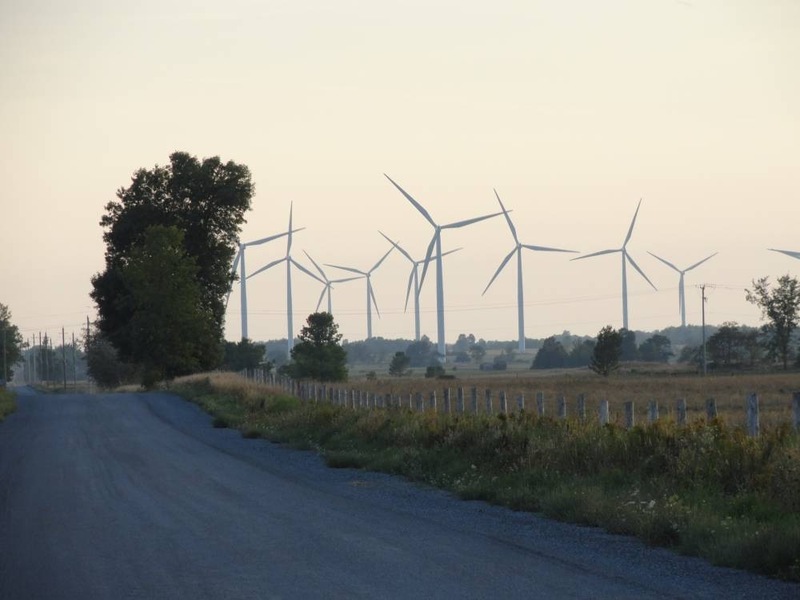 Members of the Liberal party are profiting from Ontario’s wind energy. was awarded a wind power contract that guarantees his company $66,000 a day for a total of $1/2 Billion dollars. Since then, Crawley has been awarded additional Wind Project contracts. Crawley become temporary President of the Federal Liberal Party. 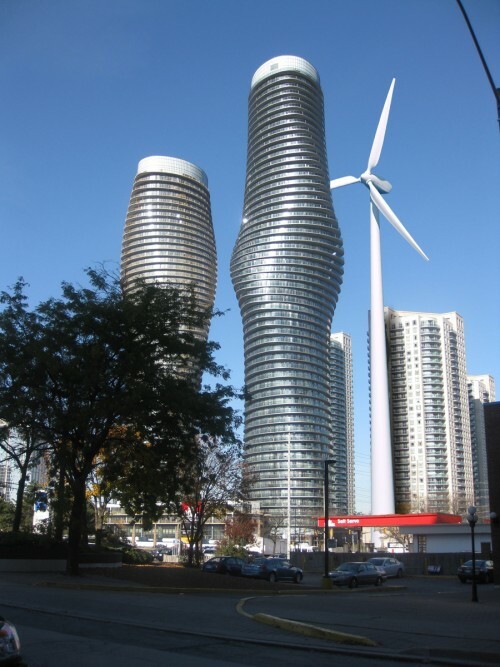 There are now about 50 resident wind lobbyists in Toronto. 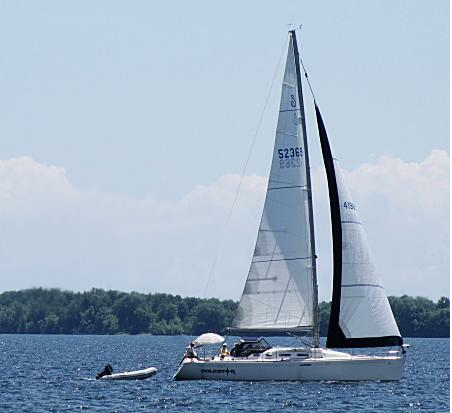 The Wind Industry held a fundraising event for Kathleen Wynne in April 2013. Those who promote Wind power, benefit financially by doing so. Friends of the Wind, Windfacts and CANWEA. Every project could be stopped today; if the Liberals want to. The Ontario Government has the discretionary power to cancel or modify these contracts but it’s clear they don’t want to. 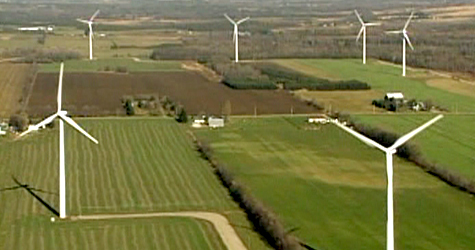 Location of turbines was fought by the municipality, but approved by the Ontario Government. The same is happening in Collingwood, Peterborough, Goderich, Kincardine, Huron Park, Grand Bend and the Niagara Region. 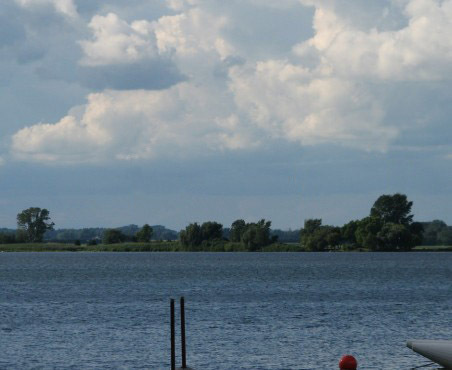 A sky-diving club in Niagara Region has now shut down due to hazards from the turbines. The PC’s introduced Bill 42 in 2012 and Bill 39 in 2013 to eliminate wind subsidies and give control back to municipalities. The NDP’s and Liberals voted against these bills. Refer to Sources. The Liberals introduced and passed the Green Energy Act 2009. Pursuing additional wind power projects. Committed to “aggressively expand renewable energy”. Place a moratorium on all renewable power projects starting in 2018. In 2017, announced a decrease in rates “up to” 35%. 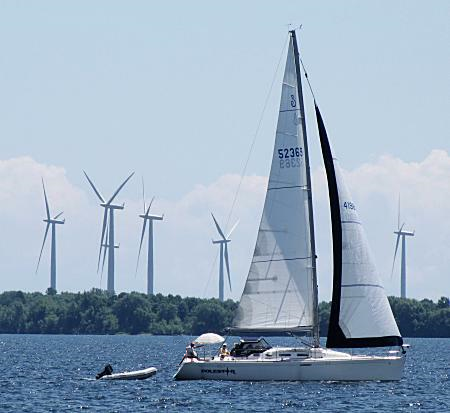 Scrap Ontario’s wind energy policy. Eliminate wind subsidies, which would substantially reduce our hydro bills. Energy sources should be paid only when their fuel is used. Reliable & cheap energy sources such as Nuclear, Hydro & Gas should be Ontario’s primary sources. Expensive sources such as wind, solar, etc. should be used only as required. Ontario must remove all subsidies provided to wind companies. Wind companies cannot survive without exorbitant subsidies; that is their problem, not the ratepayer. 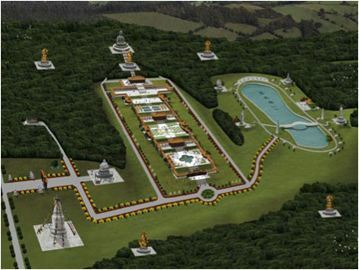 Near Peterborough, a $40 million project to build the largest Buddhist complex outside of China is in jeopardy. 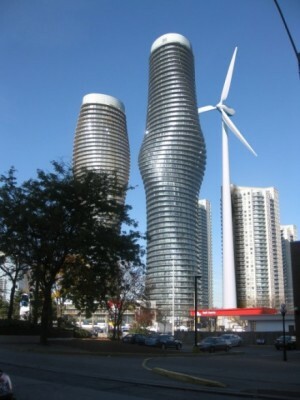 The Liberals knowingly approved wind turbines to surround the complex. The people in charge of the development say these turbines will have a negative impact on the serenity of the complex. This complex would have attracted about 45,000 visitors a year and generated more than $20 million for Ontario. Nuclear power costs 6.8 cents per kwh, period. Wind power costs 11-13.5 cents per kwh, plus all other costs mentioned above. 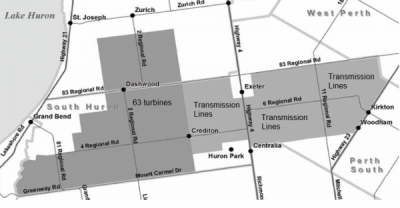 One wind project approved for the area east of Grand Bend is approximately 34 km long and 16 km wide. The nuclear footprint is 9 sq. kilometers. It will have 63 wind turbines with a maximum output of 102 mwh. Applying efficiency factor of 30%, actual output will be 30 mwh. Ontario average usage is 18,000 mwh. Nuclear can provide approximately 12,947 mwh 24/7. 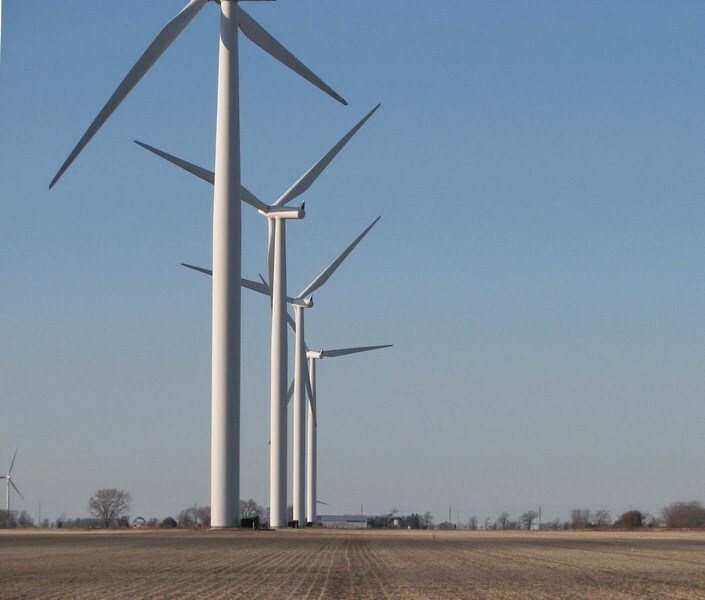 This wind project has the potential of providing .16% (1/6th of one percent) our energy needs. When there is no wind, it will provide 0% of our energy needs. The Niagara Falls hydro generating stations are 100 years old, but wind turbines are good for only 10-20 years. Each turbine construction consists of 800 tonnes of cement for support, approximately 250 tonnes of unrecyclable materials, 700 litres of hydraulic fuel and, 600 kilograms of rare earth metals. Multiply these numbers by 7700 and Ontario is facing a potential ecological conundrum. The are no bonds posted to ensure these turbines will be dismantled at the end of their life cycle. It is estimated that a turbine, depending on size, will cost $400,000 to $1,000,000 to dismantle. 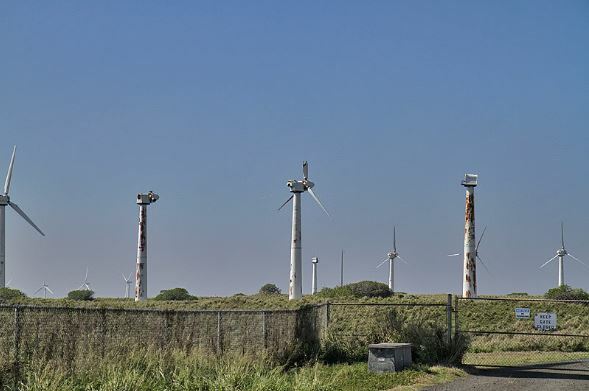 Given that wind companies are predominantly foreign, change ownership or, go bankrupt, it is quite realistic to expect 100′s or 1,000′s of dead turbines in 20 years and left standing. This is happening already. Wind Companies usually don’t fix or dismantle broken turbines and, Ontario already has many non-functioning turbines. If companies won’t dismantle a couple of turbines now; what about the future ones?. The Liberals have no plans as to where to dispose these materials, nor have indicated that wind companies will be responsible for the costs of building the landfill sites or depots. One can only assume, that the cost to dispose 7700 turbines will be covered by the people of Ontario. In 10-20 years, we could be faced with a landscape of old, rusted out, broken down turbines.